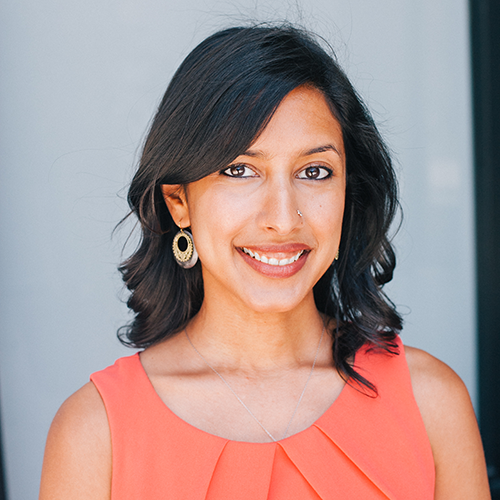 Nandita Gupta joined Collegewise in 2016 after having spent years counseling high school students through her own company, Enlighten Education Consulting. Prior to that, Nandita spent over a decade helping hundreds of individuals, from high school students to C-level executives, attain their professional goals. Her distinctive background offers a rare blend of expertise in admissions and executive search, having worked for Stanford University and Russell Reynolds Associates in the San Francisco Bay Area. Nandita started her career in finance, working for JPMorgan in New York City. A native of New York and New Delhi, Nandita graduated from Princeton University with a degree in anthropology and wrote her thesis on college readiness and accessibility. I absolutely loved Collegewise! They were extremely helpful, and I felt really good about my application. I would have never known where or how to apply without Collegewise. They made the application process much easier to understand. It was a fantastic decision to go with Collegewise! I had a wonderful experience with Collegewise! Collegewise made the college application process so much less stressful, and thanks to their help, I know I will be attending the school that’s right for me next year! Collegewise helped me find the dream school I didn’t even know existed, and then gave me the tools to create my best application possible. Collegewise helped make my daughter’s college application process smooth and painless. In the end, my daughter was accepted to and will be attending her first choice school, USD. I could not be more thrilled for Alana, and I owe so much to Collegewise for making my daughter’s dream school a reality! It felt like we sent Blake on a journey in a faraway land, and he got a tour guide who told him what paths to try and which to turn away from. Not having been in this strange land ourselves, as parents, our greatest fear was we would give wrong directions. Great experience, comfortable for Blake from start to finish! Audrey found the perfect fit for her and received enough scholarship money to make the school affordable for us. We highly recommend Collegewise for busy families like ours.